Paris may be the most sophisticated city in the world. Seeped in history, it has fabulous architecture, an enviable legacy of style and design, world-class museums and more Michelin-starred restaurants than you could eat at in a month. There are a huge variety of Paris luxury tours with a private local guide, there are plenty of unique ways to experience it. Paris is the one city in Europe I can’t resist luxury. Just the thought of strolling down the Rue de Rivoli to Le Meurice for a glass of champagne sets off a burst of confetti and happiness in my head. 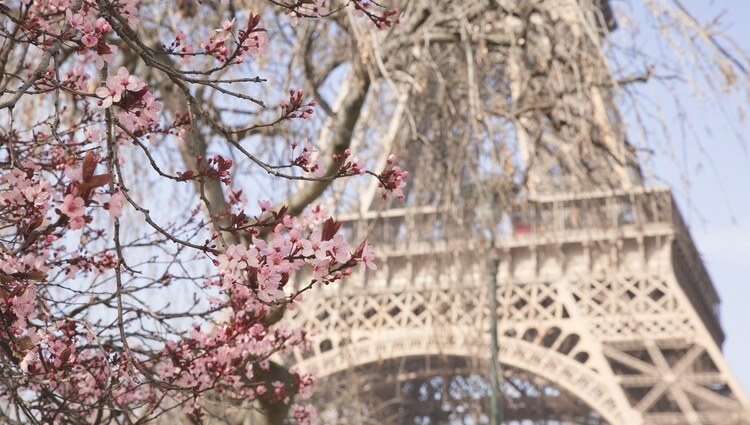 Paris is a city made for luxury, a city that revels in fashion, grand hotels, graceful architecture and stately gardens. For me, it’s a fantasy world come to life. A life where I can pretend to be something I’m not. Oh, wait, that doesn’t sound very character building. Let’s refine that statement. Paris is the city that allows me to bring out my inner jet setter, a slice of my personality that rarely shows its face at home. (In my defence, my lust for French luxury comes after years of staying in damp 2-star hotels in the Latin Quarter and eating baguettes for dinner, and that Paris was pretty wonderful, too, though not very healthy). My point is that there are many Paris’s for many people. This post is about the best luxury tours in Paris with a private local guide, and how to indulge the jet setter within you. Once you’ve decided on a trip to Paris, or are at least looking at a few upscale adventures, how do you plan your itinerary? There are so many things to do in Paris it can be overwhelming, but after the five-star hotels and hot restaurants have been sorted out, it’s time to delve into what to do with your precious sightseeing time. 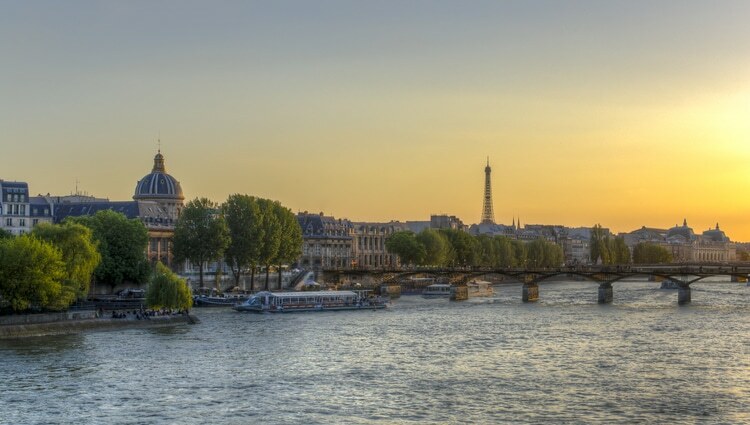 You might want to opt for a few deluxe excursions with a private tour guide in Paris. How do luxury tours differ from regular tours? Like most other travelers, luxury travelers want to see the top sights and attractions, connect with the culture, learn a thing or two and maybe peek into a few gems off the beaten path. The difference is that luxury travelers want to do it in the most comfortable and specialized way possible, and are willing to spend the money to do it. When it comes to luxury tours, this can mean perks such as having your own expert guide, after-hours tours, deluxe transportation, access to activities not available to the general public and personalized service. Every tour is different and you need to read the descriptions carefully so that you won’t be disappointed. Don’t be afraid to reach out to the company offering the tour to ask questions. Make sure you know what is included. Is it a group trip or does it have a private guide? Can it be customized to suit your particular interests and schedule? Does the price include entry tickets? When it comes to sightseeing in Paris on a luxury level, you’re in luck. The city is a wealth of high-living options. You just need to figure out what appeals to you most. With upwards of 100 Michelin-starred restaurants, the City of Lights is also the City of Gourmet Delights so you might want to do a culinary tour. Fashion fanatics can sign up for private shopping trips or tours that focus on design or haute couture. When it comes to art, Paris is unsurpassed, and a private art tour with a qualified guide can give you a new understanding of the city’s artistic legacy – and in my opinion, learning about a country’s culture from a local expert is the most rewarding perk of luxury travel of all. To give you some travel ideas here are a few Paris private tours from Localers, a company with a focus on expert local guides. The Eiffel Tower is undoubtedly the most iconic symbol of Paris (although in my personal vocabulary, the most notable symbol would be the bar in the Hôtel de Crillon, or maybe the Hemingway Bar in the Ritz – as I said, we all have our own Paris). But back to the tower. Completed in 1899, la Tour Eiffel was built for the Exposition Universelle, which marked the 100th anniversary of the French Revolution. During the exhibition the new tallest tower in the world attracted 1,953,122 visitors, and the crowds haven’t died down since. On a private tour you can skip the main lineups and get a personalized commentary about this cast iron monument that was fervently hated by many when it was built. Just a note: If you do decide on a tour of the Eiffel Tower, consider combining it with a reservation at Jules Verne, the acclaimed restaurant on the second level of the tower that offers gourmet dining and premium panoramas from 410 feet up. A private luxury cruise on the Seine with champagne and haute appetizers, however, might be exactly what you had in mind, especially if your motorboat is a hand-crafted Venetian motoscafo and a bottle of Moët & Chandon is waiting for you onboard. So you’ve marked the Louvre and Musée d’Orsay off your bucket list, and you’re hungering for more. 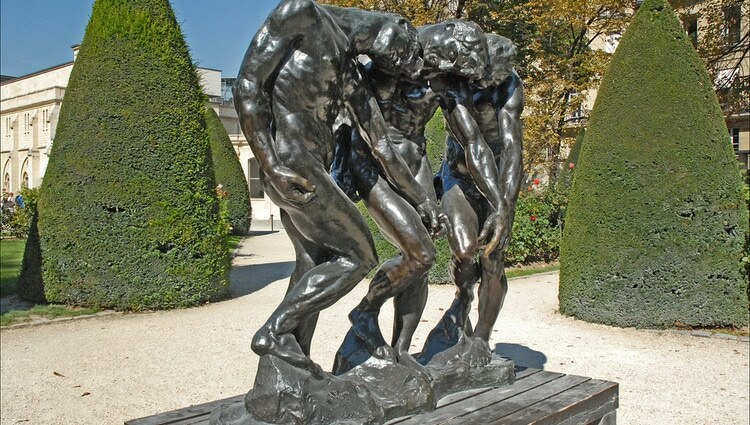 I have yet to meet a culture vulture who didn’t love the Rodin Museum. Set in an 18th-century mansion with a private garden, this much-admired museum is devoted to Auguste Rodin, one of the most acclaimed sculptors ever to come out of France. While the museum was established in 1929, only a fraction of visitors to Paris have seen it. If you want to get a closeup view of the famous statue The Thinker and take a deep dive into the accomplishments of the Father of Modern Sculpture, you can do a private tour with an expert art historian. If you haven’t seen the Louvre and the Musée d’Orsay, or wonder what the heck you were seeing the first time as you wandered lost and wide-eyed among the picture-lined corridors, you can do private tours for these top museums, too. There’s no doubting the fact that our world has changed and that we’ve become almost fanatical about sharing our travels and discoveries with others. Most people rely on Selfies. Doing it the luxury way means having your own private photographer who knows the best locations and angles, so that you’ll have beautiful backdrops and your bum will always look small. These days, signing up for a Paris photoshoot with a professional photographer is not just for the newly-engaged, honeymooners or anniversary celebrators – but for those who want a visual journal of their trip or just want to indulge their inner fashion model. I’ve written a lot about things to do in Versailles, but there are a myriad of nooks and wings I haven’t yet visited. (There are, after all, 700 rooms in the palace.) A private tour of Versailles from Paris takes guests behind the scenes to rooms that are normally off limits to the public. These can include the intimate living quarters of Louis XVI, Marie Antoinette, and the elegant Madame de Pompadour, mistress of Louis XV, art patron, savvy politician and long-lasting wielder of power. If anyone knew about French luxury it was these lofty aristocrats, but when we consider the gruesome fate of Marie Antoinette and Louis XVI in the French Revolution, it’s a powerful reminder that if you are privileged enough to enjoy any kind of luxury tour in Paris, stay mindful that others don’t have the same opportunities as you. A private tour of the Louvre just for the entrance alone is a good idea, Joseph. That’s how my husband and I got into the Ufizzi Gallery in Florence. Twice! There is so much to see in Paris, Alistair. I feel the same way you do. I agree. I did a private boat cruise in Budapest, and it was an amazing way to see a city, Sherri. I would totally do this – especially a private boat tour. Paris is amazing! I really love this city! When you cannot obtain tickets for the Louvre, you can arrange a private tour and get access.